Three years in the making and with the help and artistic offerings of some pretty creative folks, Nikki’s Rose is finally complete. That’s not to say that for three years all I did was work on this project, but I did lean heavily into it. Those of you who know me know my “schedule”. It’s pretty full. Three years ago Chris Penrod arrived at my studio requesting some audio transfers. I met this woman who was, at best, just surviving the sun’s rise and fall, a person filled with a grief most people will never know. As I transferred cassette recordings of a little girl speaking her first words with her mom and dad, Chris began to tell me the story of her daughter, Nicole Penrod. Nikki’s life was taken from her when a drunk driver crashed into her car, just after she turned eighteen. I can’t imagine how a parent could go on and when I was with Chris, it seemed like she was barely holding on. She told me many stories about Nikki—her connection to the ocean, her love of music (singing opera and Bob Marley), her “wild streak” and quest to experience the world in her own way, and finally, her poetry. I settled in with Nikki’s words and wrote the music. We then gathered a gang of great musicians and documented the song on tape. When Chris first heard the final version her reaction was, “this is something beautiful and we need to continue”. She told me that one of the most healing of all things for her was the music. Encouraged, we decided to set Nikki’s other poems to music and record an entire CD project. Over the span of time, I slowly but surely found music for Nikki’s works, and now finally rejoice in the sweet moment of completion. Each song presented itself in a unique way. Sometimes I would read Nikki’s words and have an immediate insight into how the song would go. Other times I wrestled with rhymes and meter to make the words work in a song format. A few of the songs are combinations of two poems and for a few of the poems, we felt the best treatment was to have the poetry recited with music behind the words. By working so closely with these words I felt as if I had finally met Nikki. I had days of creative inspiration and I, too, had days of sadness about her not having a chance to be in on this wonderful ride of life. 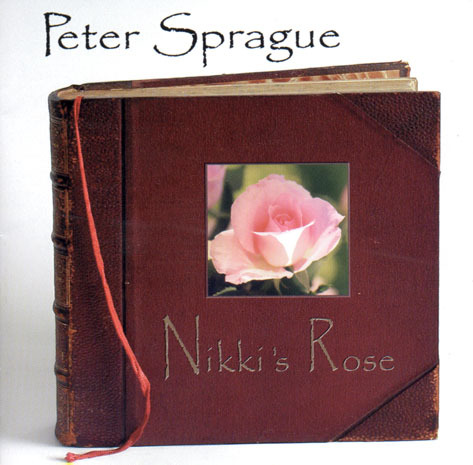 For more information on the Nikki’s Rose recording, click here Nikki’s Rose CD.